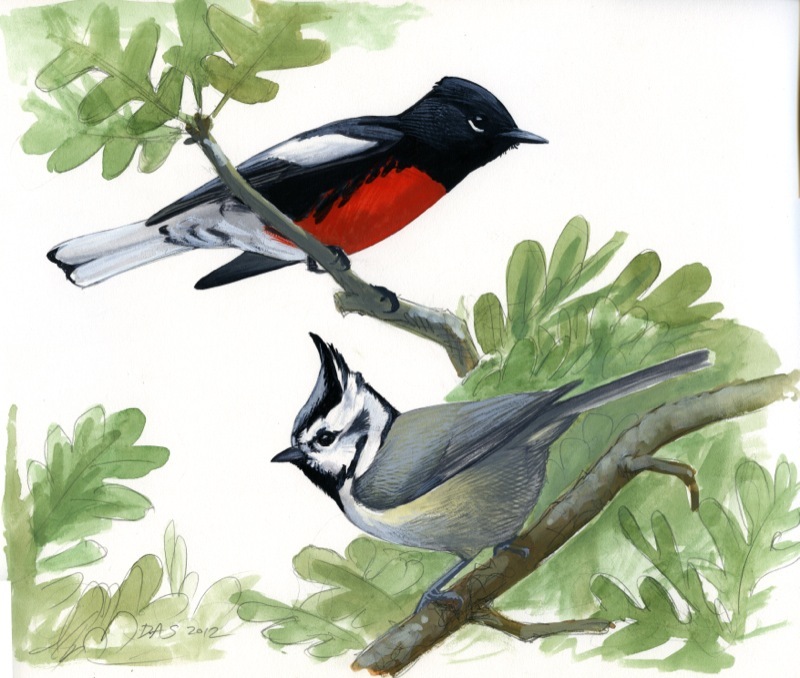 Painted Redstart and Bridled Titmouse, gouache on Bristol Board. copyright 2012 David Sibley. A large selection of my original artwork is available in the shop. If you would like to be notified of new work for sale, just sign up for my newsletter and select art sales as one of your interests. I am currently offering commissioned paintings of the bird of your choice. Click for examples and more info. Please contact me with any questions about commissions or older work. Prints of several of my paintings are available. See Prints for sale for more info about these. How to Draw Birds: In fall 2009 I stopped in at the offices of Amazon.com in Seattle, Washington, where I met a couple of young birder/artists and talked about drawing birds. Several short videos from that afternoon are now posted here. How I paint: Most of my bird paintings are done in gouache (opaque watercolor) on Strathmore Bristol Board, and over the years I’ve developed a style involving transparent/translucent layers of paint to represent the colors and textures of birds. A slideshow showing one painting from start to finish can be found at this post. Thanks for the comments. I’ve been working on a number of things to post here, and just got one of them up. I hope to have a few more essays, and a sampler of my work, posted in the next month or two. Iam trying to find out the first book you published, i think it was like 200 pages or something. So love your work, David! And your books…couldn’t live without them. I would like to create a poster for educational purposes titled “Extinct Birds of Oklahoma”. 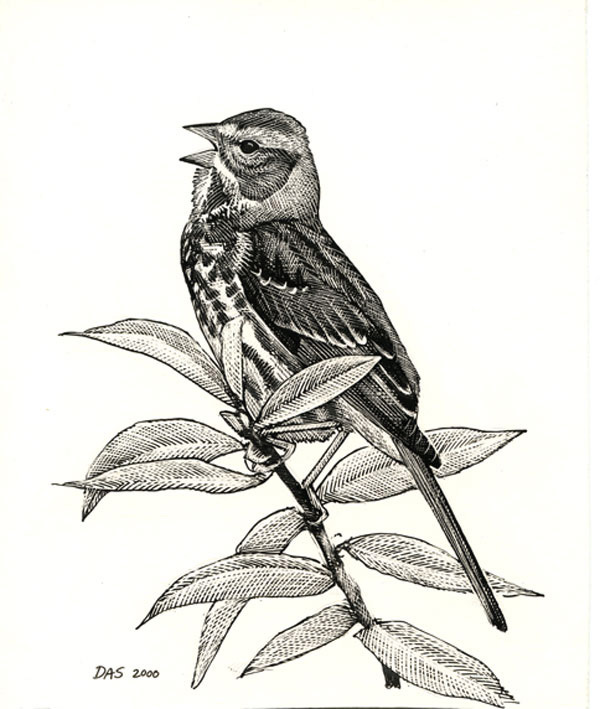 My thought was to have illustrations of the Ivory-billed Woodpecker, Carolina Parakeet, and Passenger Pigeon, with general historic range maps. The poster would be displayed at various educational events that I assist with (I am a biologist with the state of Oklahoma). Would it be possible to pay to use some jpeg images (or similar format) of some of your previous illustrations (I.e. Ivory billed woodpecker) to use for the poster? Your artwork is incredible and I have always been a frequent user of your field guides. I would also gladly give you credit on the poster itself. Your info is really good I read your most post and I really loved it thanks for posts about birds….